Buuuuut, not exactly the most healthful meal. For many of us (me included), the wheat in pasta causes bloating, gas, and for lack of a better term, digestive turmoil. And if you do better on a lower carb diet, even wheat-free/gluten-free noodles aren’t the best option. And then there’s the meatballs, which are usually made with low-quality meat and a bunch of unhealthy fillers, like bread crumbs. If your meatball recipe calls for sausage, you might be ingesting BHT, a harmful food additive. Instead of pasta I make noodles out of zucchini. There’s simply no denying that replacing refined carbohydrates with low-carb vegetables is a nutritional win. Nixing the wheat helps your digestion (yes, a “pasta” meal minus uncomfortable bloating is possible) and your blood sugar will stay nice and even-keeled (perfect if you have diabetes – gestational or otherwise – or if weight loss is something you’re striving for). Instead of low-quality meat or sausage, I use grass-fed beef. (Read why it’s so much better for you and 7 reasons grass-fed beef is worth the money HERE). Then I up the nutrients exponentially by mixing in some grass-fed beef liver, an incredible superfood rich in iron, zinc, vitamin A, folate, vitamin B12, choline, and much, much more. (Read about why liver is so healthful and why I especially recommend pregnant women eat it HERE). –> This recipe is a great way to include liver in your diet if you’re not a fan of the taste or texture on its own. 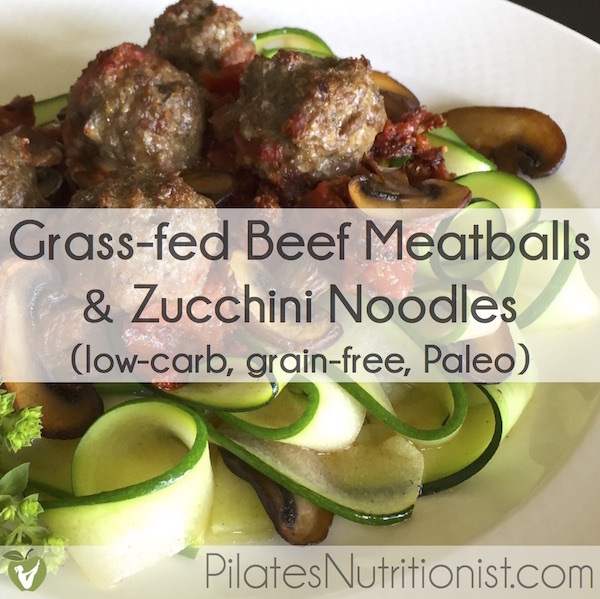 A similar recipe for these grass-fed beef meatballs appears in my book, Real Food for Gestational Diabetes. It’s one of the recipes I get consistent praise for, and that’s from the discerning taste buds of pregnant women! In a large, cast-iron skillet over medium-high heat, sauté onion, mushrooms, and garlic in coconut oil until lightly browned and all water (released from the vegetables) has evaporated from the skillet. Set aside to cool. In a large mixing bowl, mix meat with cooked vegetables and remaining ingredients. Place meatballs on a greased baking dish, at least 1 inch apart. Bake in a 350 degree oven for 15-20 minutes, or until cooked through. 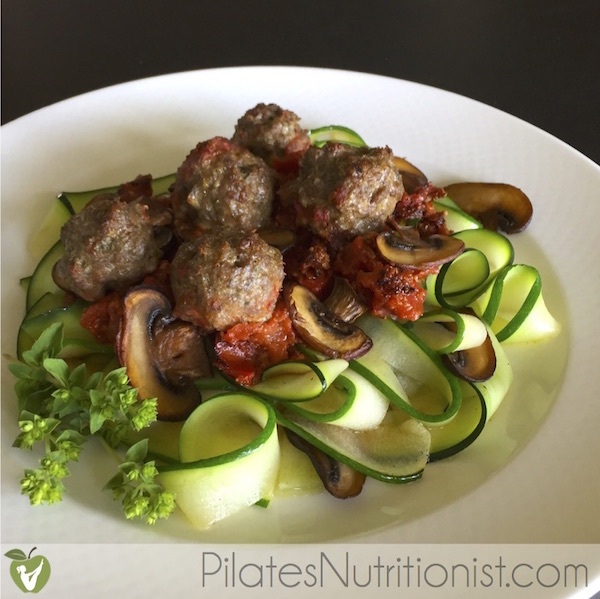 While meatballs are baking, heat up tomato sauce in a small saucepan and prepare zucchini noodles. For wide noodles (as pictured), slice zucchini into ribbons (using a vegetable peeler or mandolin). For thin noodles, use a spiralizer. In a large, cast-iron skillet over medium-high heat, melt butter (or other fat/oil). Add zucchini noodles. Toss to coat with butter cook evenly. Cook no more than 5 minutes to prevent zucchini noodles from getting soggy. Transfer noodles to serving platter. Add a light sprinkle of sea sale. Top with tomato sauce, grass-fed meatballs, and optional garnishes. *NOTE: If you have some on hand, you can substitute grass-fed beef liver pate for the liver in this recipe. When I make a batch of pate, I freeze some in small quantities for use in recipes like this. And there you have it – a healthy remake of spaghetti & meatballs that’s easy on the tummy, rewarding for your taste buds, and friendly to your waistline. 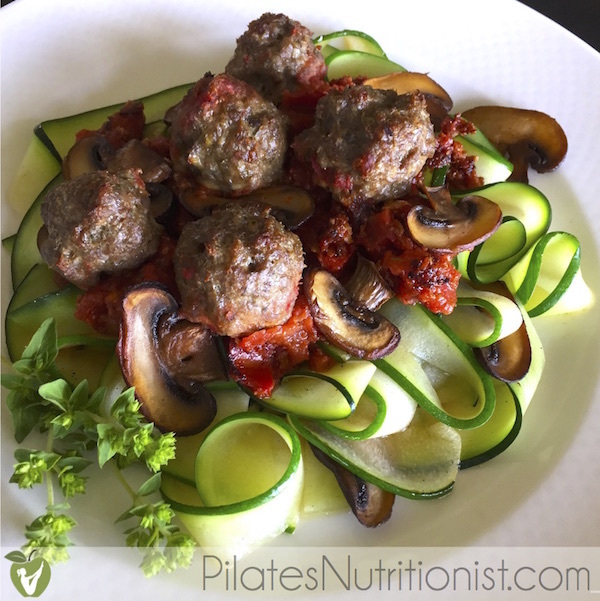 If you like this recipe for grass-fed beef meatballs with zucchini noodles or have questions about the preparation, tell me in the comments below. Hi Lily! Happy New Year! Love this recipe. I love making a lighter spaghetti and meatballs… I make mine with turkey meat mixed with goat cheese, rosemary, and mustard for a Scandinavian flare. But Rob got me a spirilizer for Christmas, so I’m super excited to make some faux-noodles! Thanks for the recipe!! Hope you are feeling wonderfully! 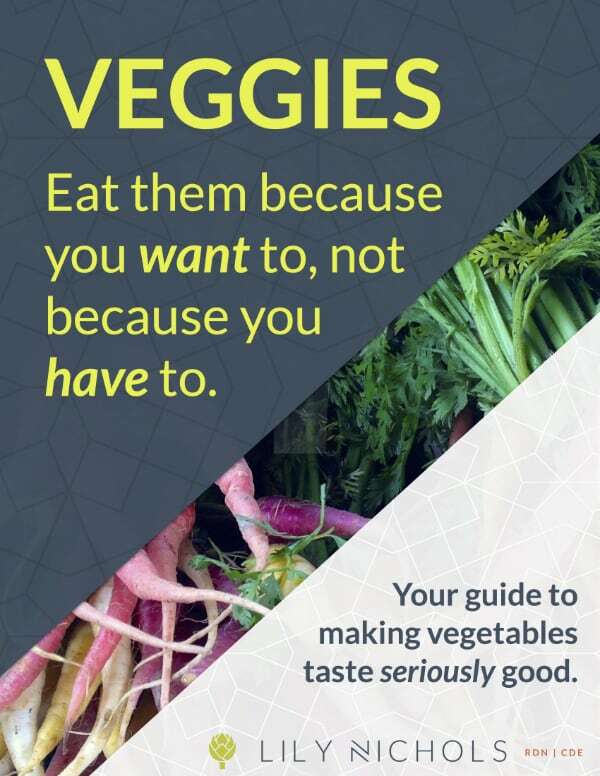 You’re gonna love your spiralizer, Jill. Veggie noodles for the win! 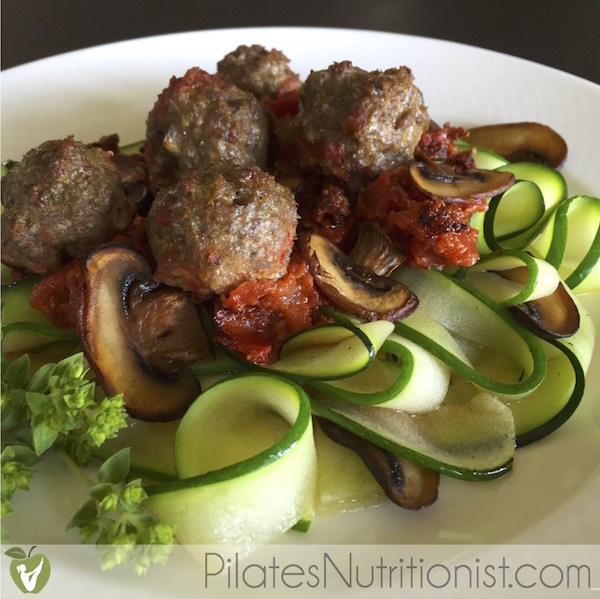 I love zucchini noodles and delicious but healthy meatballs! Romantic and also very hearty! I made these last week and they were a total hit with the family. You couldn’t even taste the liver. I had been searching like crazy for recipes to “hide liver” in because I’ve heard it’s so healthy, but usually can’t stomach the taste. These are a definite winner!! Even the wide zucchini noodles were a hit. I’d only tried skinny spaghetti noodles made with my spiralizer, but I liked these much better. Thanks Lily!